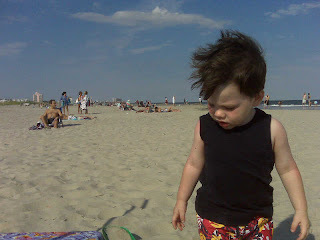 Here's Adrian on the beach at Ocean City, NJ. Ok that is an awesome picture! His is such a sweetie! Greetings from Seaside Heights NJ!